On The Internet Since 1995 ! Here's everything you need to know about collecting guitars! Don't have a sense of humor? [click here] to get one, It's FREE! 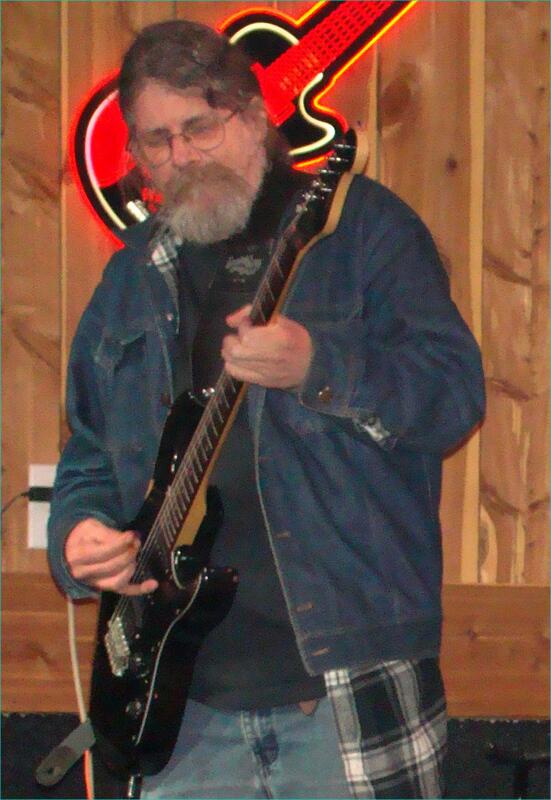 The Smokin Tone Overdrive Pedal was designed and is built by our own Amp Doctor, Terry Newton. Limited quantities available at the store. Made in our Old Hickory shop! Read this, and you will know how we conduct a jam. Check out our huge selection of Guitar Effects Pedals!! 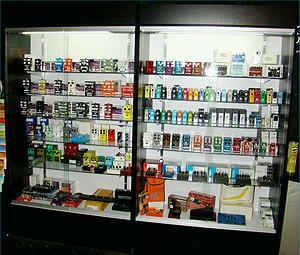 Authorized Dealer for: Analog Alien, Boss, Cast Engineering, Dunlop, MXR, Wampler, Keeley, Maxon, Mad Professor, Metal Pedals, T.C. Electronics, Smokin' Tone & more. 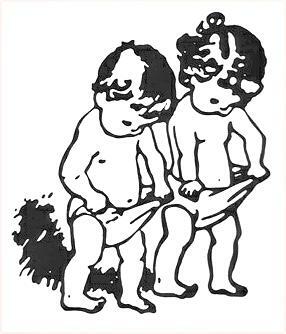 QUALITY - "Is like buying oats"
THAT COMES A LITTLE CHEAPER !! 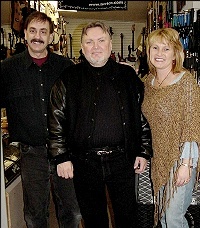 Ed King (center)- Guitar player for Lynyrd Skynyrd (the guy that wrote Sweet Home Alabama) stopping by. Chuck (left) & Kathy (right) play 12 & 6 string acoustic originals & covers at various local venues & eateries.